How Can You Get A Job In Adoption Services With A Degree in Social Work? Did you know you can get a job in adoption services with a degree in social work? Most people who work in the area of social work want to help families, especially children. By helping children getting adopted into loving families, a social worker can make their job even more fulfilling and rewarding. What Does an Adoption Social Worker Do? It is important to keep in mind that when trying to get a job in adoption services with a degree in social work, being an adoption social worker can involve some challenging scenarios. Many times, they work in cases where there is domestic violence and the children must be removed from the home and taken from their parents. 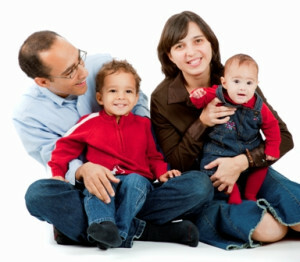 Some adoption social workers also assist in other kinds of domestic adoptions as well as international adoptions. They can either work for a public or private adoption agency, according to the Social Work Policy Institute. Their main role is to provide services that aid in helping to foster healthy and stable families. There are certain requirements that an adoption services social worker must have. Most social workers who want to work in the area of adoption usually need a master’s degree in social work (MSW). While attaining a master’s degree, they learn about social policy and practice, human development intervention and research methods. They also have a practicum in which they can request to be placed in a setting to gain experience in working with adoptions between children and families. In order to be hired by a public or private adoption agency, they would need additional certification to earn a licensed clinical social worker (LSCW) license. Each state has its own certification requirements and they are required to learn about their particular state’s rules and regulations regarding adoption. For those who would like to work with families who want an international adoption, they need to also become familiar with U.S. and Hague Convention laws and policies. According to the American Academy of Child & Adolescent Psychology, there are about 120,000 children a year adopted in the United States. With this many children being adopted, by getting a job as an adoption social worker, you would certainly be filling a need in the area of social work. Adoption social workers fall under the general classification of social workers and there are currently 607,300 social workers in the United States with the hopes of adding an additional 114,100 to the job market, according to the Bureau of Labor Statistics. In 2012 the average annual salary was about $44,000. It has certainly never been a better time to get a job in adoption services with a degree in social work.